At this point, pretty much everyone understands that being overweight puts a person at an elevated risk for developing health problems. That being said, most people associate fat with what they can see in the mirror...or what they notice when they compare pictures of themselves over time. This visibly recognizable kind of fat is usually noticed around the abdomen, gluteal region, and thighs. Known as subcutaneous fat, it generally accounts for about 90% of the body's fat stores. Because subcutaneous fat is what people notice right away, most people tend to focus their attention (and health/exercise related efforts) on eliminating this kind of fat. The remaining 10% of our fat stores is composed of something known as visceral fat. Visceral fat is located behind our abdominal muscles and surrounds our internal organs. That's right, it surrounds organs like our kidneys, liver, intestines, stomach, and so on. It also makes up the omentum, a curtain-like structure that lays behind our abdominal muscles and in front of our organs which helps to cushion them. Because visceral fat is behind your abdominal musculature, and in such close proximity to your organs, it's impossible to see how much visceral fat a person is dealing with just by looking at them. You might have heard of the term "skinny-fat"...where a person has a BMI within their 'healthy range'. Body mass index (BMI) when used as the sole means to try to gauge viseral fat may hide the dangers that that person will be more likely to experience because it is an innacurate means to identify viseral fat. The other problem is that you can look pretty healthy (not obese or even overweight) so you may not even consider the increased risk which higher levels of visceral fat may pose in your case. While it only makes up a small portion of our fat stores, elevated levels of visceral fat plays an important role in a variety of disease processes. In recent years it has been discovered that fat isn’t an inert tissue, simply used to store excess energy (calories). Research has found that fat acts more like an endocrine organ, constantly interacting and communicating with other tissues by secreting hormones and other factors (1). A certain level of body fat is required for optimal health and function for many different aspects of our health such as hormonal regulation, immunity, and inflammation (1). Normal subcutaneous fat releases adiponectin and leptin which are involved in controlling appetite and controlling our weight (1). Visceral fat, on the other hand, has been found to increase systemic inflammation and cause immune system dysregulation leading to a host of health issues (2). Increased levels of visceral fat can also put pressure on our organs which compresses them, and could impair proper organ function. Visceral fat has also been implicated in the development of insulin resistance and metabolic syndrome which can lead to the development of Type II diabetes (3). Therefore, it is important to reduce visceral fat levels as increased levels may have deleterious effects on our health. Let's take a quick glance at our overall appearance. Men tend to store fat in their abdomen (including visceral fat), this is often referred to as having an apple shaped body. Women more often store fat in their hips and buttocks, which is known as a pear-shaped body. After menopause women start to store more fat in their abdominal region, you guessed it, which includes increasing levels of visceral fat. It's no surprise that studies have shown a correlation between an increase in visceral fat in those women to a plethora of new health issues as they age. There is a third phenotype known as ovoid shaped where individuals store fat in their abdomen, thighs, and buttocks. Having an ovoid or apple shaped body indicates that you may harbor higher levels of visceral fat. Another indicator of visceral fat is waist circumference. Women with a waist circumference over 35 inches and men with a waist circumference over 40 inches generally have elevated levels of visceral fat. While the above methods can give you some idea regarding the presence and general guess as to your visceral fat level they are limited to what you can observe. These methods cannot accurately assess how much fat is being stored internally. A more accurate way to determine your level of visceral fat is through body composition testing. 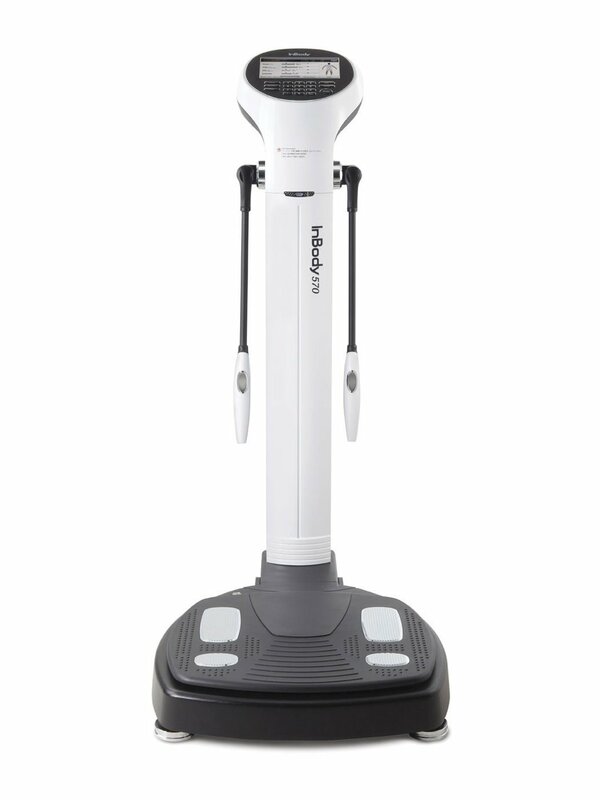 At Naturopathic Specialists, LLC, we use a machine called the InBody 570 to assess your body composition. This machine can accurately assess your level of visceral fat, as well as numerous other parameters of health. This is an invaluable tool which we use to monitor and assess our patient’s health. We use it to monitor patient’s weight loss progress, including visceral fat loss. It can also give us an indication of a person's overall metabolic health. Because visceral fat can cause increased levels of inflammation, it increases the risk of developing a host of inflammation-based diseases. Heart disease/ stroke/ high blood pressure: It has been established that increased inflammation plays a role in the development of heart disease (4). Increased visceral fat has been found to be associated with increased triglycerides, elevated LDL and decreased HDL which is the classic lipid profile that promotes heart disease (4). Increased inflammation can also lead to the build-up of plaques in your arteries which can also lead to stroke. There is also an association between increased visceral fat levels and high blood pressure which further increases your risk for stroke and heart disease (5). Type II Diabetes Miletus: Elevated levels of visceral fat are associated with insulin resistance which can lead to the development of diabetes (3). Furthermore, it has been found that visceral fat is the best anthropometric indicator of whether someone will develop diabetes or not (6). It has also been found that if you are diabetic that increased levels of visceral fat can exacerbate your diabetes (7). Alzheimer’s disease/ dementia: It has been hypothesized that Alzheimer’s disease may be caused by insulin resistance (8). Since increased visceral fat can cause insulin resistance, there are good reasons to believe that elevated levels of visceral fat may predispose individuals to develop Alzheimer’s. Evidence shows that increased visceral fat, especially as we age, increases our risk of developing dementia (9-10). Mood disorders: Research has linked mood disorders such as anxiety and depression to increased levels of inflammation in the brain (11). Since visceral fat levels can increase levels of systemic inflammation, it is hypothesized that visceral fat can play a role in the development of mood disorders. Research has found that, in women, there is a correlation between visceral fat levels and symptoms of depression (12). Cancer: Obesity significantly increases an individual’s risk of developing cancer (13). Visceral fat can cause insulin resistance, increase inflammation, and cause immune dysregulation, all of which have been implicated in the development of cancer. Elevated levels of visceral fat have been implicated in the development of prostate cancer (14), breast cancer (15) and colorectal cancer (16). Visceral fat can also secrete other factors that not only can lead to the development of cancer but can act as growth factors to already established cancer (17-18). Research is just uncovering the effects that visceral fat has on cancer, but we believe that it will be uncovered that it plays a role in the development of almost all cancers. Exercise: Exercise has been found to be one of the best ways to rid your body of visceral fat. Research has shown that both cardio and weight training can be effective methods for reducing visceral fat (19). Regular exercise can also help prevent the fat from returning once it is gone (19). The World Health Organization recommends getting 30 minutes of exercise 5x/ week to maintain our health. Eat a healthy diet: While it can be argued what a healthy diet consists of, what is not argued is that eating a whole foods diet and limiting processed foods is beneficial to health. Studies have found that a Mediterranean diet or a low carbohydrate diet can help reduce the development of visceral fat (20, 21, 22). Furthermore, specifically avoiding alcohol, trans-fats, and fructose-sweetened foods can help prevent the development of visceral fat. Don’t smoke: Research has found that smokers tend to store fat in the abdominal area which includes visceral fat (23). This is most likely because smoking increases levels of inflammation which in turn promotes the development of visceral fat. The visceral fat then goes on to increase levels of inflammation which can further increase the risk of developing multiple diseases. Get enough sleep: There is an association between sleep and visceral fat levels. One study found that both too little (<6h) and too much (>9h) of sleep per night was associated with the development of increased levels of visceral fat. A more recent study found that adolescent females who slept >7.5 hours/ night had lower levels of visceral fat. There are many reasons that an individual may have both increased or decreased levels of sleep as well as visceral fat. However, sleep is a risk factor that (for most people) is easily modifiable. Manage stress: Increased levels of stress can lead to increased levels of cortisol, also known as the stress hormone. Elevated levels of cortisol can lead to increased storage of abdominal fat, which includes visceral fat (26). Therefore, by reducing stressors in your life, via various stress reduction techniques, or other interventions, you can help to prevent the formation of visceral fat. Not all fat is bad. However, having elevated levels of visceral fat is bad for your health. Visceral fat can impair proper hormonal function, increase systemic inflammation, and cause problems with your immune system. Elevated levels of visceral fat can lead to numerous diseases such as cardiovascular disease, Alzheimer’s and cancer. The easiest way to rid your body of visceral fat is by changing your lifestyle by exercising, changing your diet, getting adequate sleep, and managing your stress. The best way to determine the amount of visceral fat you have is through body composition testing. If you want to take a look at what's happening inside your body with regards to visceral fat, schedule a time to have your body composition analyzed with one of our physicians. InBody testing may help to shed light on other health issues that further lab testing can help us to understand and assist you with. That's why we feel it's important to speak with a physician to get the most out of your InBody experience. Give our office a call at 480-990-1111 to set an appointment today.